"Libiamo ne' lieti calici" (Italian pronunciation: [liˈbjaːmo nɛ ˈljɛːti ˈkaːlitʃi] ; "Let's drink from the joyful cups") is a famous duet with chorus from Verdi's La traviata , one of the best-known opera melodies and a popular performance choice (as is this opera itself) for many great tenors. The song is a brindisi, a lively song that encourages the drinking of wine or other alcoholic beverages. A duet is a musical composition for two performers in which the performers have equal importance to the piece, often a composition involving two singers or two pianists. It differs from a harmony, as the performers take turns performing a solo section rather than performing simultaneously. A piece performed by two pianists performing together on the same piano is a "piano duet" or "piano four hands". A piece for two pianists performing together on separate pianos is a "piano duo". La traviata is an opera in three acts by Giuseppe Verdi set to an Italian libretto by Francesco Maria Piave. 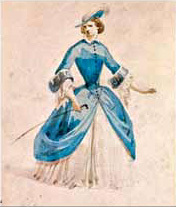 It is based on La Dame aux camélias (1852), a play adapted from the novel by Alexandre Dumas fils. The opera was originally titled Violetta, after the main character. It was first performed on 6 March 1853 at the La Fenice opera house in Venice. The words were written by Francesco Maria Piave. poiché quell'occhio al core onnipotente va.
in questo, in questo paradiso ne scopra il nuovo dì. because that eye aims straight to the almighty heart. and can no longer be enjoyed. let the new day find us in this paradise. The following discography contains information regarding some of the published recordings by Enrico Caruso made from 1902 through 1920 as have been made available in selected compact disc compilations. A drinking song is a song sung while drinking alcohol. Most drinking songs are folk songs or commercium songs, and may be varied from person to person and region to region, in both the lyrics and in the music. 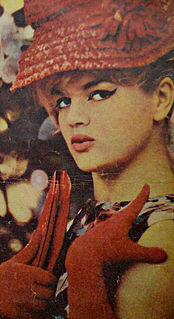 Czesława Gospodarek, known by her stage name Violetta Villas, was a Belgian-born Polish and international cabaret star, singer, actress, composer and songwriter. Her voice was characterized as coloratura soprano, which spanned over 4 octaves. She could play the piano, violin, and trombone and had absolute pitch. Characterisations of her included "the voice of the atomic age", "the singing toast of the continent", "a voice like French champagne", and the "Polish Yma Sumac". Villas was the first star of the Casino de Paris at Dunes Hotel & Casino in Las Vegas (1966–1970). Licia Albanese was an Italian-born American operatic soprano. Noted especially for her portrayals of the lyric heroines of Verdi and Puccini, Albanese was a leading artist with the Metropolitan Opera from 1940 to 1966. She also made many recordings and was chairwoman of The Licia Albanese-Puccini Foundation, which is dedicated to assisting young artists and singers. "Un dì, felice, eterea" is a duet from the first act of Giuseppe Verdi's opera La traviata. It is sung by the male and female protagonists of the opera, Alfredo and Violetta. The main melody of the duet, which is very famous in its own right, is also an important musical theme throughout the opera. Modern Toss is a partly animated British comedy programme based on characters from Modern Toss, the creation of British comedy writers and cartoonists Jon Link and Mick Bunnage. Renowned for their scurrilous humour and highly stylised animation, it was created in 2004, initially as a website publishing single panel jokes and then as series of irregularly released comics. La Traviata is a 1983 Italian film written, designed, and directed by Franco Zeffirelli. It is based on the opera La traviata with music by Giuseppe Verdi and libretto by Francesco Maria Piave. Soprano Teresa Stratas, tenor Plácido Domingo, and baritone Cornell MacNeil starred in the movie, in addition to singing their roles. The film premiered in Italy in 1982 and went into general release there the following year. It opened in theatres in the U.S. on April 22, 1983. The movie's soundtrack with James Levine conducting the Metropolitan Opera Orchestra and Chorus won a Grammy Award for Best Opera Recording. Costel Busuioc is a Romanian tenor. Concerto in True Minor is the debut studio release of the metal/classical combining project True Symphonic Rockestra. A brindisi is a song in which a company is exhorted to drink, a drinking song. The Best Classics... Ever! is a compilation album released by EMI in late 2005. This compilation contains both short works and excerpts from longer works by renowned classical composers. Hjördis Gunborg Schymberg was a Swedish coloratura and lyric soprano active on the opera stage and in concert halls between 1934 and 1968. One of the leading singers of the Royal Swedish Opera, she was awarded the title of Hovsångerska in 1943, and in her later years became a distinguished voice teacher. Armando Chin Yong, also known as Chen Rong in Mandarin Chinese pronunciation, was a Malaysian opera singer. He received much of his singing education in Rome, Italy and Vienna, Austria. He died unexpectedly, aged 52, of a heart attack after walking his dog in Kuala Lumpur, Malaysia on 2 February 2011 leaving his widow, Chu Shoo Woan and their 12-year-old son, Ian Chin Yi. Armando Chin was a devout Christian and worshipped at Gereja Kristen Grace Taman Bukit Maluri, Kepong, Kuala Lumpur. Aria Tesolin is a Canadian mezzo-soprano, pop classical, classical crossover and contemporary pop singer, songwriter and poet known for her operatic vocals and genre defying original style of classically infused pop music. Essential Pavarotti II is an album by tenor Luciano Pavarotti. It was released in 1991 by Decca Records and peaked at number one on the UK Albums Chart. In doing so it duplicated its predecessor and became the second classical album to achieve this. The Rosgvardia Academic Song and Dance Ensemble, formerly known as the MVD Ensemble, is an official academic ensemble of the National Guard of Russia and the Ministry of Internal Affairs of the Russian Federation. Established in 1939, the ensemble carries on the tradition of choirs and ballets of the Soviet Red Army, with singers, musicians and dancers. Together is a collaborative studio album by Australian singer Marina Prior and Mark Vincent. The album was released through Sony Music Australia on 15 April 2016 and peaked at number 5 on the ARIA Albums Chart three weeks later. Notte Magica - A Tribute to the Three Tenors is the fourth live album by Italian operatic pop trio Il Volo, with the participation of Plácido Domingo as a performer and conductor. The recording was released worldwide on September 30, 2016 by Sony Masterworks. It peaked at number 1 on the Billboard Top Classical Albums and it was certified platinum in Italy by the Federazione Industria Musicale Italiana. ↑ Robert Glaubitz. "The Aria Database" . Retrieved 2009-01-15. ↑ Partial reference: "Translation of Brindisi: "Libiamo ne'lieti calici", from Italian to English" . Retrieved 2012-09-09. ↑ Partial reference: Alejandro González Ponce. "Alfredo's aria from La Traviata" . Retrieved 2009-01-15. ↑ Partial reference: "Libiamo ne' lieti calici lyrics" . Retrieved 2009-01-15.